Don’s Homemade Caramels. Chewy. Chocolately. 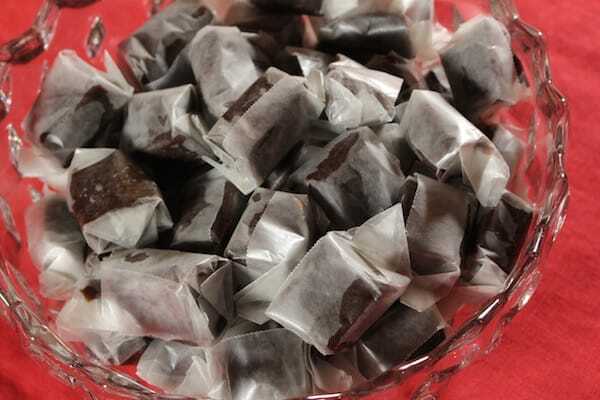 Caramels. Positively mouth-watering. 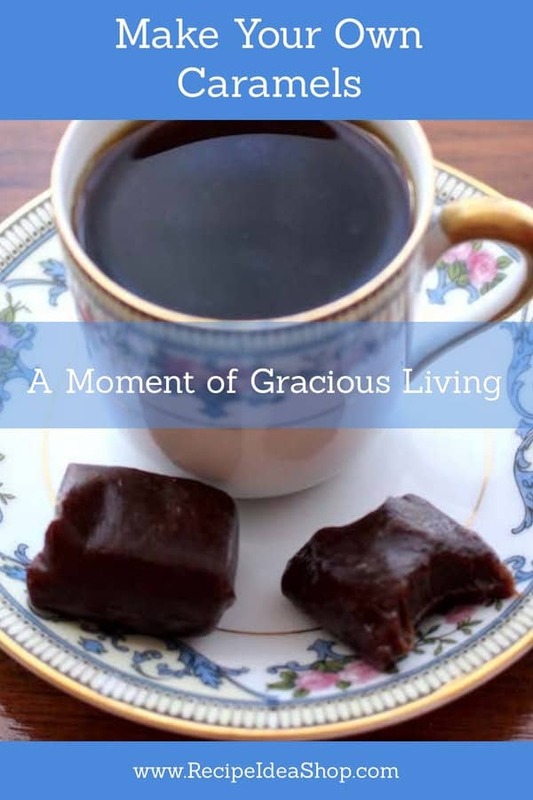 Don’s Homemade Caramels create a moment of gracious living. Just add a cup of coffee and relax. Don here. 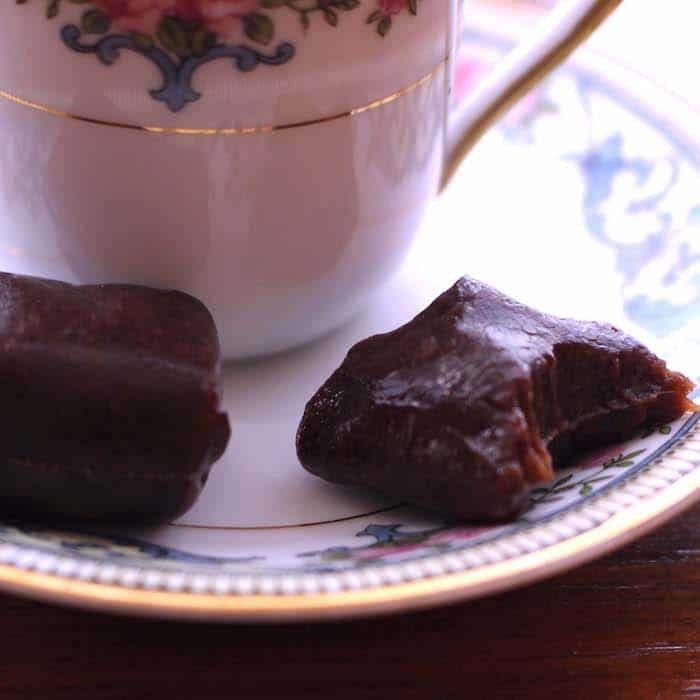 Today is National Chocolate Caramel Day so I’m telling you about my Homemade Caramels recipe. These caramels are based on recipe with a long tradition. Legend has it that the Graham and Holden households (my first wife’s maternal lineage) made these for generations. The original recipe came from Dorothy Salem, who may have been related many generations ago. The first Christmas after my daughter Abbi was born we quit traveling to extended family gatherings and began having Christmas at our home. 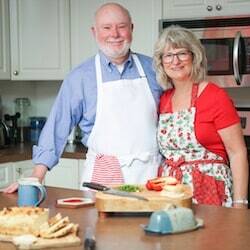 That’s when the baton was passed via a note in the mail and a well-worn copy of the recipe. The note said: “Now that you are not traveling at Christmas, you will have time to make the caramels. PS: They ship well!” So for the past 40-plus years I’ve been stirring up at least one batch in the Christmas season. I usually make these candies in December and give them away for Christmas. All the kids expect my Homemade Caramels for Christmas. I’d hate to disappoint them, but it’s now time to pass it on again. Which one of our kids will take it up? We’ll see. Don’s Homemade Caramels will keep about a month at room temperature, if they last that long. Send them to family and friends any time of the year in small gift boxes, holiday candy bags or drop into stockings on Christmas eve for a Christmas morning treat. Ingredients for Don’s Homemade Caramels. Add all the ingredients except vanilla to a 2-quart, heavy bottomed pan and heat over medium high heat to boiling. 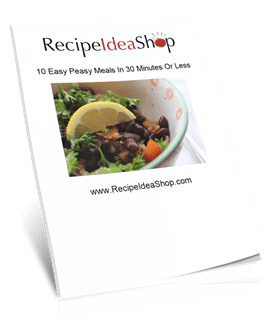 Reduce heat when it boils hard, stirring frequently. Pour into a buttered pan and let cool overnight. 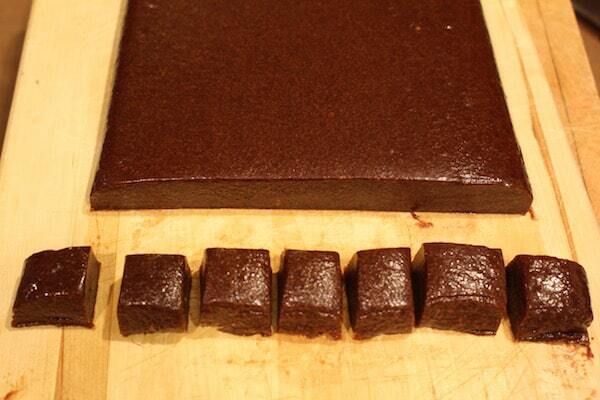 Cut the caramels into one-inch squares. Wrap Don’s Homemade Caramels in wax paper. 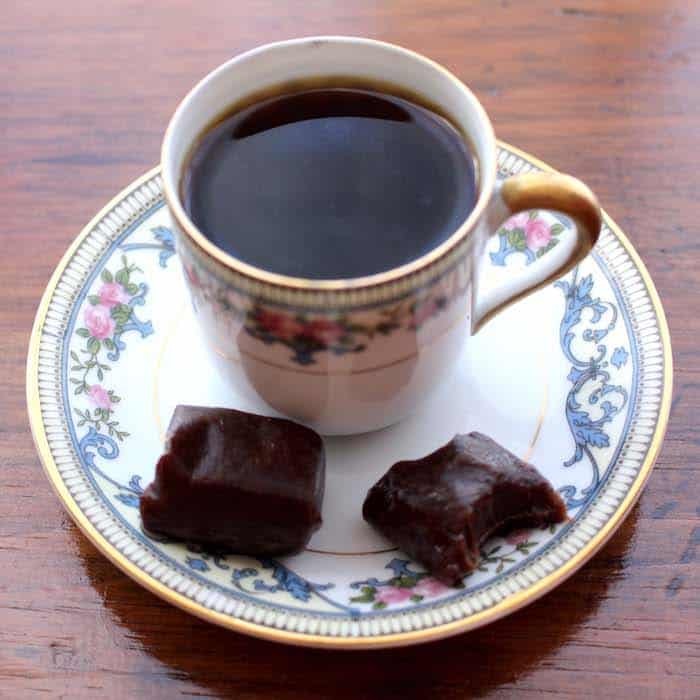 Be sure to save some of Don’s Homemade Caramels for yourself for a special snack. Chocolate and Caramel. Chewy. Mouth-watering deliciousness. 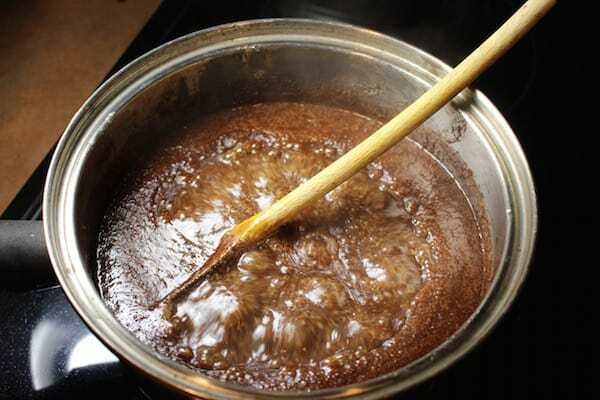 FIRST, A WORD OF CAUTION: As the mixture heats, the bubbling becomes more violent throwing off bits of hot caramel. A long handle wooden spoon works well to stir the mixture as it cooks. It takes me about an hour from the time heat is applied until I dump the mixture into the pan to cool. Butter a 5" x 7" shallow baking pan and set aside. 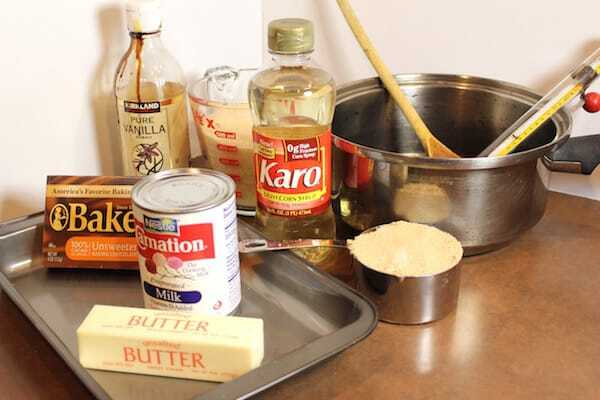 Add all the ingredients except the vanilla to a heavy bottom 2-quart sauce pan. 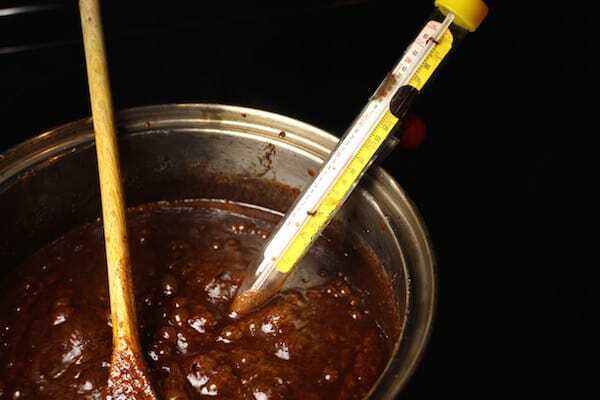 Begin cooking at medium high heat, but as soon as the mixture begins to boil, reduce the heat to medium. As the mixtures cooks, it will thicken and the bubbles will become larger. Reduce the heat to medium and bring to 240F, stirring constantly. 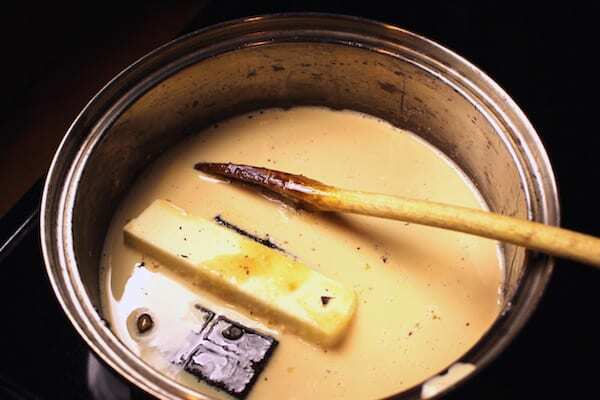 Immediately upon reaching 240F, remove from heat and stir in the vanilla. Place the buttered baking dish on a level, heat-resistant surface and pour the mixture into it. Let cool. I usually leave the caramels at room temperature overnight to cool. Do not cool in the refrigerator. They will be too hard to cut. 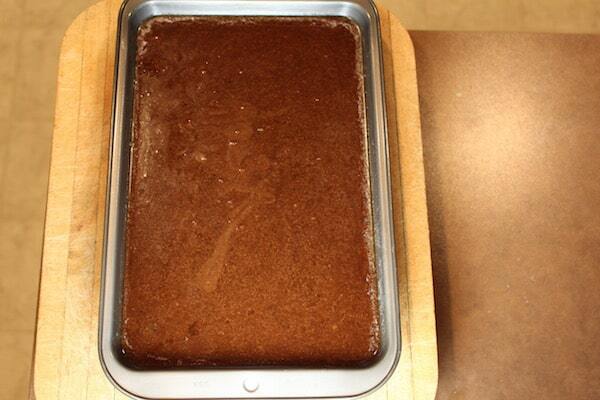 Dump the candy out of the pan and cut into small (1" x 1") squares—or large squares. Wrap the caramel squares in waxed paper. Don’s Homemade Caramels Nutrition Label. Each serving is one 1″ x 1″ caramel.